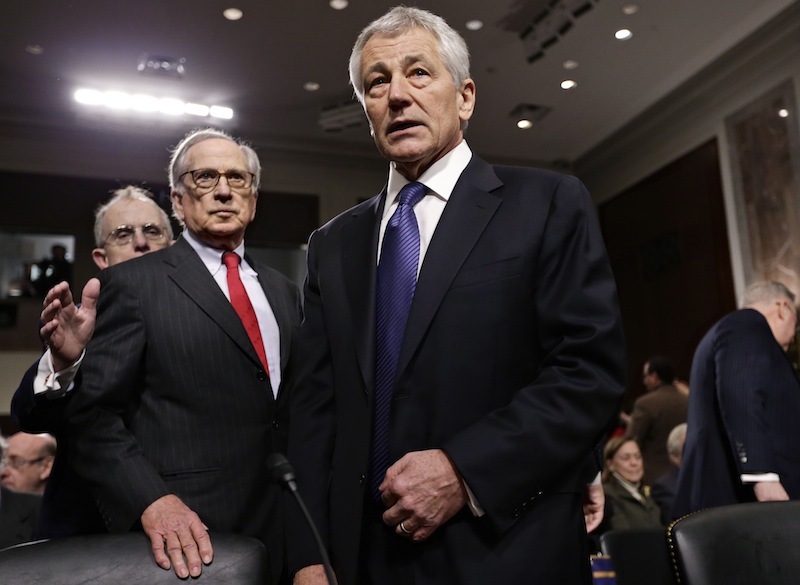 Hagel, 66, would be the lone Republican in Obama's Cabinet and the first enlisted man to hold the post. 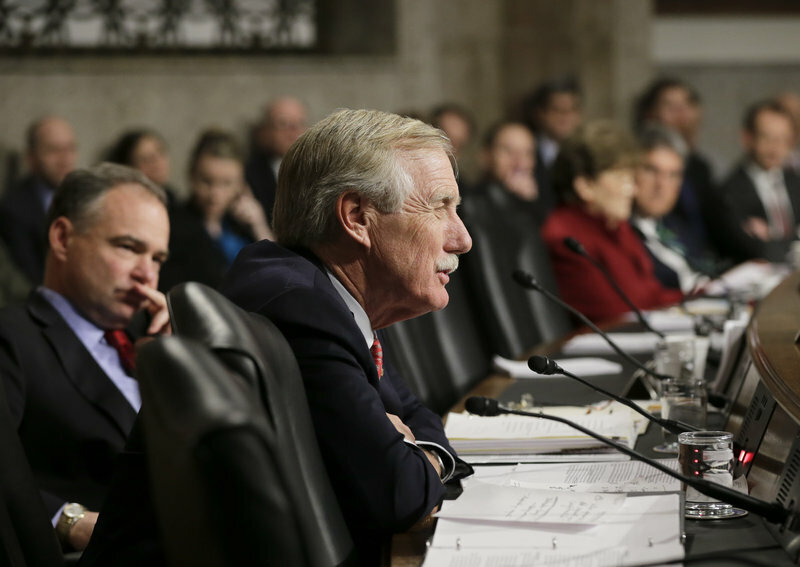 WASHINGTON – Maine Sen. Angus King said he didn’t hear anything from Chuck Hagel on Thursday that would disqualify him from being the next secretary of defense despite “overly negative” questioning by several Republicans. King noted that, as a freshman senator attending his first confirmation hearing, he had little experience to compare to Thursday’s proceedings. “I thought Republicans were overly negative. I don’t know any other way to characterize it,” King said in an interview in his Senate office after the Senate Armed Services Committee hearing. King, an independent caucusing with the Democrats, asked Hagel several management-related questions that were undeniably softer than the queries by several Republicans about the nominee’s attitudes toward Israel, Iran and nuclear weapons. King joked that, as a Nebraskan, Hagel probably doesn’t wake up every morning thinking about the Navy but added that he “hoped to correct that over the next few years” if Hagel is confirmed. King asked how Hagel would manage one of the largest and most complex bureaucracies in the world. He also asked what the nominee thinks of multi-year contracts — an important issue for defense contractors such as Bath Iron Works and its suppliers because without them it is harder to plan. Concerns about long-term contracts and potential forced spending cuts overshadow the upcoming budget. Hagel indicated that he supports multi-year defense contracts and that it is “absolutely essential to our future” that the nation maintain a strong and growing military-industrial base. King suggested that if confirmed, Hagel look at expanding programs to help military personnel transition to civilian life and find jobs after leaving the service. He also raised concerns about the threat of cyber attacks, and predicted they would probably be the next kind of warfare facing the United States. King said afterward that he is also submitting several questions in writing to Hagel specific to Bath Iron Works, the Portsmouth Naval Shipyard and New Balance, which hopes to supply additional athletic footwear to the military.